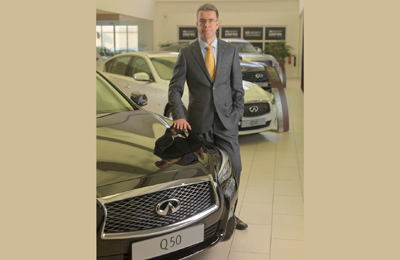 The Infiniti Q50 Sedan, has been named ‘Best Executive Sedan’ at the Middle East Car of the Year Awards (Mecoty), held at the exclusive Meydan Beach Club, Dubai, UAE, recently. Infiniti Q50 adds to its already strong list of global and regional accolades, bringing distinctive design, world first technologies, engaging performance and a new standard of in-car connectivity, said a company statement. Offering new levels of driving personalisation, the Infiniti Q50 is for the new generation of young-minded, premium customers seeking Infiniti’s unique fusion of inspired performance and luxury, it added. “As such, we are delighted to win this fantastic award of ‘Best Executive Sedan’ that further underlines the Q50 as one that truly inspires through its performance in all areas,” he added. Currently in its inaugural year, the Mecoty integrates a complex yet transparent nomination and scoring methodology which is developed, tested and implemented by the most experienced ‘motoring minds’ of the industry. “We are truly overwhelmed at the successful response that we have received in organising the debut edition of Mecoty,” revealed Saeed Al Marzouqi, chairman, Mecoty.